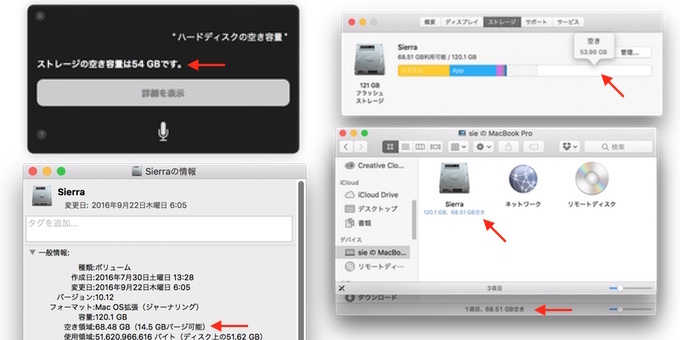 macOS Sierraで「Optimized Storage」機能を有効にすると、アプリによりMacのディスク空き容量表示が異なるので注意。 | AAPL Ch. A lot of the stuff on our drives doesn’t need to be there. It either isn’t necessary (log files, used app installers, and the like), or it’s just a duplicate of something that’s stored in the cloud. The result is a whole raft of features in macOS Sierra that are all about freeing up more space on your drive. One of the biggest changes affects about how free space is calculated and displayed.